This ventilator enables greater control of breathing parameters monitored by respiratory therapists, paramedics and trained emergency personnel. 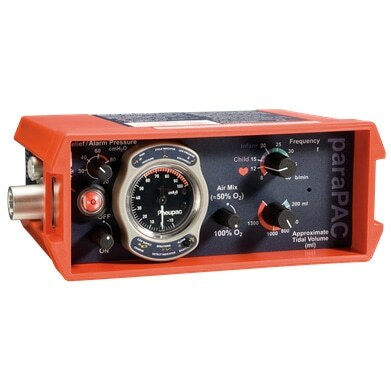 The ParaPAC Ventilator provides benefits from separate controls for tidal volume and frequency to the adjustable pressure relief with an audible alarm. This device is appropriate for emergency or controlled transportation of adults, children and infants.